Any one make root over rock? Bonsai forum in Pakistan.how to make a bonsai,how to care for bonsai,lets talk about bonsai.how to create a bonsai,soil,pots,watering,pruning,cutting,styling. Any one make root over rock?Share your experience. starting three plants one is dead and 2 of them still alive. This forum has a page which you should check out. Go to Progression here you will find "Root Over Rock" by Pak Bonsai. He has illustrated his technique with photos and is quite helpful in under standing the process. 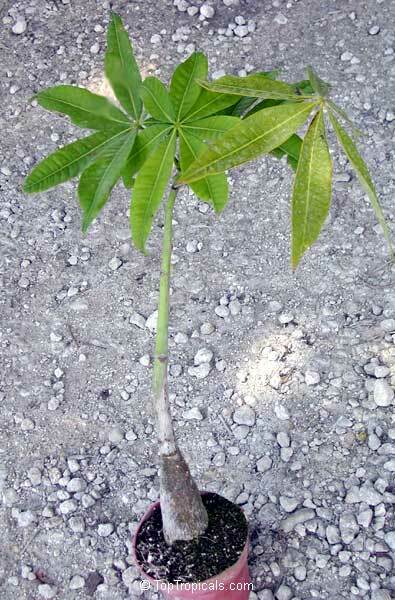 My advice is to let the plant grow in a large pot for some time so that its roots become long. Than remove the plant in spring and wrap the roots around the rock using cling wrap (used to wrap food in kitchen) or similar material. Keep the ends of the roots out of the wrap and replant in training pot. You will have to wait for at least a year, after that you can remove the wrap. I have made few root over rock style bonsai using same technique. 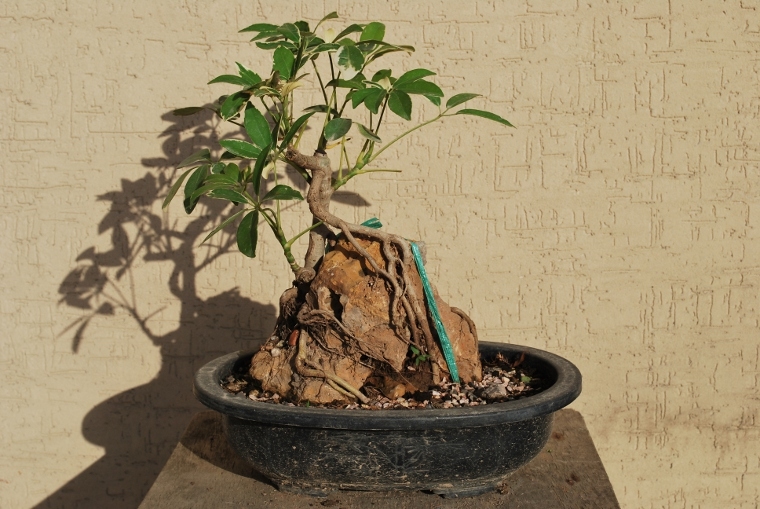 I have also posted the picture of my Schefflera root over rock. Subject: Re: Any one make root over rock? » Boxwood - Root Over Rock?